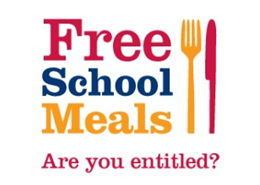 All children attending school in Reception, Year 1 and Year 2 are entitled to a school meal free of charge. Even though your child will receive a school meal, if you are receiving any of the benefits listed below you should still apply as the school will also be entitled to extra funding of £1300 known as Pupil Premium. You will not be entitled to Free School Meals if you receive any element of Working Tax Credit or if your annual household income (as assessed by HMRC) is greater than £16 190. Proof of your benefit will not need to be provided at this stage, however, you will be informed if any proof of benefit is required at a later stage. You must update your details using our online free school meal system if there are any changes to your circumstances, so we can make sure your child still receives their free school meals. Regular reviews will be carried out once per month and contact will be made if your entitlement changes or if any further information is required. All applications need to be completed online. Any new and approved applications will receive a £15 Asda voucher.